CCR Re, the French state-owned reinsurance firm, has established the first France domiciled collateralised reinsurance sidecar vehicle, launching 157 Re as the first insurance-linked securities (ILS) vehicle to be governed by French law. 157 Re will assume a 25% quota share of CCR Re’s worldwide property catastrophe portfolio, so as to provide the reinsurer with a source of collateralised retrocessional reinsurance capacity, aiding it in its goal of achieving diversified and profitable organic growth. By offloading a share of its property catastrophe risks to ILS investors, CCR Re can leverage the reinsurance support that provides to assist it in achieving growth but while moderating its losses as well. 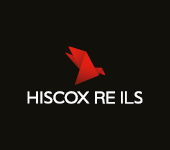 The 157 Re sidecar deal incepts on April 1st 2019 and CCR says it is the first generation in what is expected to become an annual transaction for the firm, to help fund growth in property catastrophe underwriting. 157 Re also provides CCR Re with full Solvency II regulatory credit, while opening up access to a new “competitive and agile investor base,” the reinsurer said. 157 Re is the first ever insurance-linked securities instrument governed under French law, a groundbreaking step and a testament to the flexibility of the capital markets in that France has not specifically enacted ILS regulations to support this deal. The transaction makes use of existing legislation, having been set up as a mutual securitization fund (known as a “fonds commun de titrisation”), a structure that has been used for securitized instruments for a long time in France. 157 Re has been licensed by the French supervisory authority (Autorité de Contrôle Prudentiel et de Résolution) and the French tax authorities provided formal guidance about the tax treatment of the structure for the investors. CCR Re said that it was assisted in the transaction by Willis Towers Watson Securities who acted as the structuring agent, France Titrisation acting as management company, BNP Paribas Securities Services acting as custodian, Linklaters acting as transaction counsel, and Clyde & Co acting as counsel to CCR Re for reinsurance matters. “We have together demonstrated the capabilities of the Paris financial marketplace to innovate and create a financial vehicle that meets the needs of both users and investors. This transaction, which could be easily duplicated to cover other types of insurance risks and develop other types of ILS instruments, is paving the way for the development of an ILS market in Paris,” CCR Re said. It is fantastic to see another ILS domicile emerge in Europe and kudos to CCR, WTW and others for finding a structure that could be used to create a reinsurance sidecar vehicle located in the home domicile of a government backed reinsurer.